BARCELONA IN CHRISTMAS: IS REALLY NOTHING OPEN? 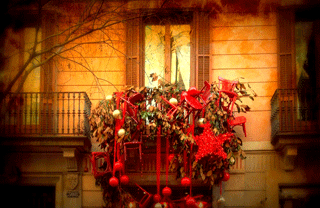 Home » BARCELONA IN CHRISTMAS: IS REALLY NOTHING OPEN? Barcelona in Christmas can be disappointing if you don’t plan your trip properly. Most people will quickly guess that being a traditionally Catholic country (even if young generations don’t attend mass that much anymore), December 25 is going to be a bank holiday and most things will be closed: no shops, some sites closing too, even some restaurants not opening! But what most travelers are not aware of is that in Barcelona December 26 is also holiday, so that’s also another day not to be left to improvisation! Every year we have guests coming to Barcelona in Christmas, and we have to figure out how to organize their tours so we minimize the impact of the closed sites. And of course, we also want to help them enjoy their short time in the city as much is possible despite the holidays! This is why today I decided to share with you a few ideas to make your stay in Barcelona at Christmas holly! And by the way, if you are visiting Barcelona in December, today’s tips also apply to other holidays! Check out this other post if you are travelling to Barcelona at Christmas, New Year or early January. What? Didn’t I say before there are no shops, markets or department stores open on Christmas Day or Dec 26? Yes, they are mostly closed. However, there is one shopping mall legally open both days: Maremagnum, by the Port Vell marina. How come this one is open? Well, the Spanish law allows stores located within airports and ports to stay open 365 days a year, and since the shopping mall is located in the Marina… for every law there is a loophole! Many locals, after a long 4 hour Christmas or Boxing Day family meal want to relax and meet their friends for a while. But it’s cold outside, and not so many cafés are open. This is why they head to the movies! In Barcelona there are several movie theaters that offer movies in their original version, and most of them are in English. For mainstream commercial films head to the Olympic Village to find Yelmo Icaria. For rare European and Asian independent films, your destination will be the Verdi cinemas in Gràcia. And in Renoir Floridablanca you’ll find some of both. The weather in Barcelona at Christmas can be cold, but if you are not afraid of that, it can be an unforgettable experience to walk around the Old Town in the afternoon: the crowds of tourists will be gone, and the backstreets and plazas will be deserted. Yes, you won’t be able to enter patios nor churches, and there won’t be many opportunities to enter a café if you need a break, but if you have an adventurous soul, we encourage you to walk around paying attention to an any little detail: curious door knockers, gorgeous medieval windows, fantastic gargoyles and unexpected sculptures decorating buildings. Plus it’s a great place to see in Barcelona at Christmas: so much is going on there! The Barcelona parks and gardens are open every day until sunset, and many of them are worth exploring! The Ciutadella Park, for instance, was created for the world fair in 1888 and it features a lake, a waterfall, a greenhouse and a great botanical collection of trees and bushes. You can also get lost in the cypress tree maze of the Parc del Laberint in the Horta district (Dec 25 only open until 2pm, Dec 26 until 6pm). And… great news! Gaudí’s Park Guell is also open both days! Barcelona Christmas traditions don’t usually include hot chocolate right after having a pantagruelic Christmas meal: local are too stuffed! But that’s probably not gonna be your case, and after all, hot chocolate and churros are the thing to do in winter in Barcelona! Unfortunately, the famous hot chocolate cafés in Petritxol street will be closed, but you can head to Bar Núria, instead. This famous bar at the top of La Rambla has been part of the local landscape since it opened in 1930, and it’s known to be open every day, any time. That’s why generations of Barcelonans have headed here after long nights out for some hot chocolate to beat the hang over. But you don’t need to party the whole night long to enjoy their churros: they are still great any other time of the day! AND BONUS! 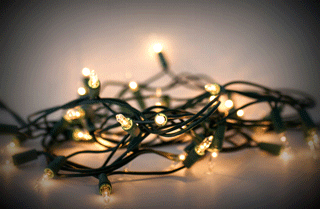 What tourist sites and museums are open in Barcelona in Christmas? December 26th: Same as above, plus La Pedrera (Casa Milà) and Palau de la Música Catalana. Sorry, the Picasso Museum is closed both days, and during mass no visitors will be allowed in the Cathedral of Saint Eulàlia also both days. So what about you? If you are going to be for Barcelona in Christmas, what’s your plan for Dec 25 and 26?